Plutarch (Plutarchus), ca. 45–120 CE, was born at Chaeronea in Boeotia in central Greece, studied philosophy at Athens, and, after coming to Rome as a teacher in philosophy, was given consular rank by the emperor Trajan and a procuratorship in Greece by Hadrian. He was married and the father of one daughter and four sons. He appears as a man of kindly character and independent thought, studious and learned. Plutarch wrote on many subjects. Most popular have always been the 46 Parallel Lives, biographies planned to be ethical examples in pairs (in each pair, one Greek figure and one similar Roman), though the last four lives are single. All are invaluable sources of our knowledge of the lives and characters of Greek and Roman statesmen, soldiers and orators. 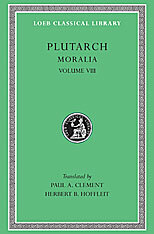 Plutarch’s many other varied extant works, about 60 in number, are known as the Moralia or Moral Essays. They are of high literary value, besides being of great use to people interested in philosophy, ethics and religion. 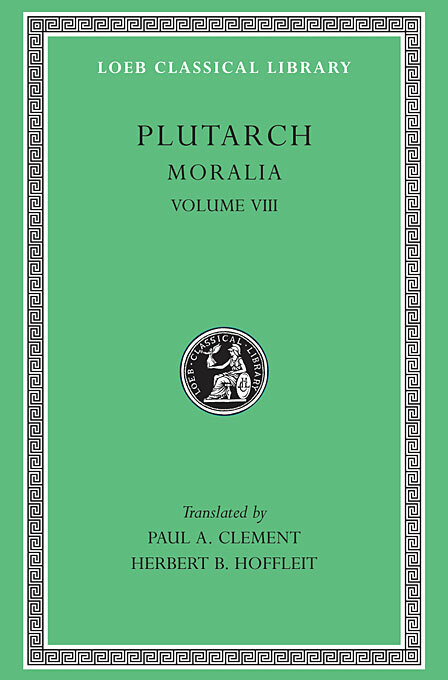 The Loeb Classical Library edition of the Moralia is in fifteen volumes, Volume XIII having two parts.